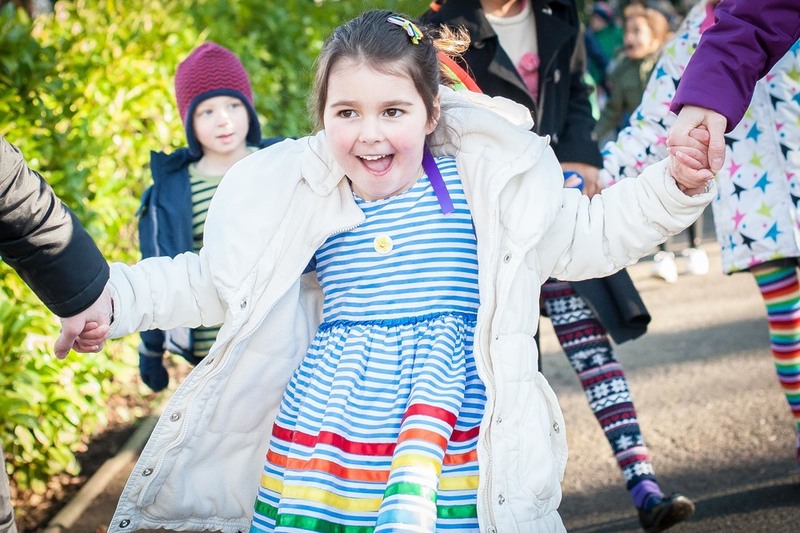 A few weeks ago St James' C of E Primary School held a rainbow walk around Park Campus, Cheltenham, to show support for Natalia Spencer, who was to began her own 6,000 mile coastal walk just a few days later on Valentine's Day. Natalia is walking in memory of her daughter, Elizabeth Spencer, who tragically died just before Christmas, and to raise money for the Bristol Children's Hospital, where Elizabeth was treated. I was asked if I could photograph the walk. It was fantastic to see the whole school come together and show such a united front. In between dodging buses, I managed to capture all of the action. At the end there was a balloon release to mark the start of Natalia's journey. It was very touching. To find out more about Elizabeth's story and Natalia's plans please go to www.elizabethsfootprint.com or to donate visitwww.justgiving.com/Natalia-Spencer.